The Toronto-based, Cantala Women’s Choir approached us to help them recruit new members. The resulting new online presence spanning both a website and offsite channels now helps direct their personas towards requesting an audition. …. with conscience, the words that follow our Strategy & Digital Communications has stimulated some debate. So is Opencity Inc. a specialist healthcare communications agency or are we all about supporting charities? Actually, I am pleased that many people have taken the time to ask. It seems prudent to explain. 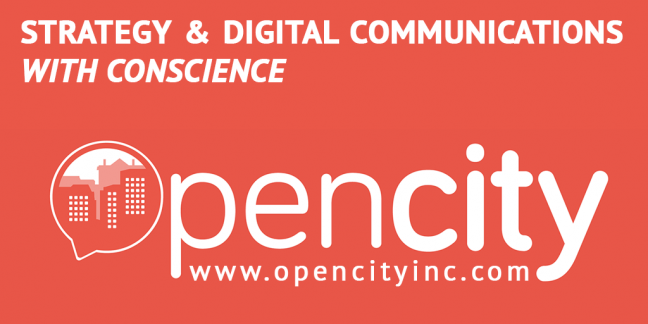 A new type of social responsibility – announcing Opencity Inc. It has long been my view that businesses can mutually meet the needs of shareholders while also driving social responsibility. With Opencity Inc. we promise to demonstrate that this can be successfully achieved. There is a very personal connection with Opencity Limited. I am honoured to build upon the incredible shinning example built by Roland and Glenda Renyi. Thank you for mentoring me. Opencity Inc. brings new skills and experience in strategic planning, business model innovation (beyond-the-product) and inbound marketing all wrapped up in a business with a conscience for social responsibility. Clients big or small, local or international find challenges in strategy planning and keeping up with excellence in both internal and external communications, particularly in applying new approaches of digital inbound marketing methodology. Continue reading A new type of social responsibility – announcing Opencity Inc.